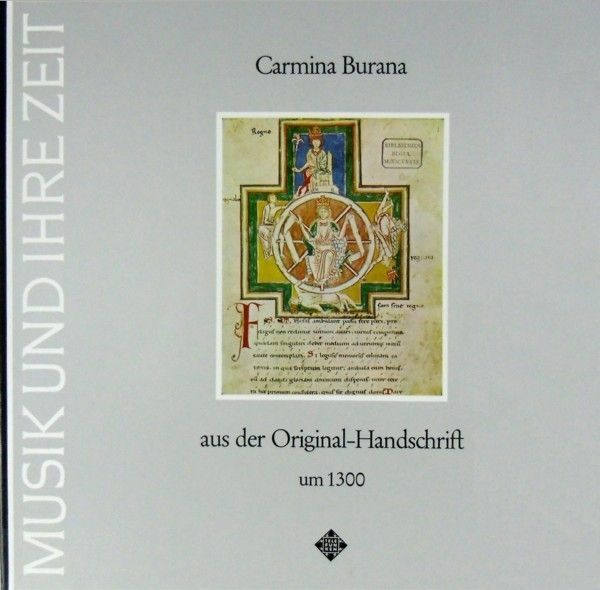 Among the most valuable treasures of the Bavarian State library in Munich is Codex latinus monacensis 4660, comprising the most comprehensive and most important collection of secular Latin lyrics of the Middle Ages (erroneously generalized often under the expression "Goliardic songs"), the Carmina Burana. Before being moved to the Royal Court and Central Library during the secularisation of Bavarian Monasteries in 1803, the manuscript was kept in the Benedictbeuern Monastery; hence this collection of poetry was named by its first editor, the excellent librarian Johannes Andreas Schmeller, "Songs from Benedictbeuern". When the manuscript was written, after the middle of the 13th century somewhere in South Germany (or Tirol?). the flowering of secular Latin poetry was already over. Thus the collection is not a sort of Textbook of a Goliard but an anthology, written on the order probably of a clerical aristocrat who enjoyed this poetry. The manuscript can be compared in kind to the large collections of middle high German poetry such as the Manesse manuscript. Poems of subjective sensitivity are found next to poems of didactic or learned character. The greatest portion stems from the late 11th and 12th century; the majority of the poetry originated in France. A few German poems are mixed in with the Latin ones. As was the custom in such anthologies, the poets were not named almost without exception; however many poems are known through other sources, and we can thus recognize the work of a few known poets such as Walther de Chatillon, Petrus de Blois, the Archipoeta, etc., while other poems can be arranged in groups. The concordant sources of single poems are particularly important for the reconstruction of the original texts; in codex Buranus the texts are often corrupt. It seems that the inclusion of neums had been planned for much of the manuscript, but this was carried out for only a small part, and there only afterwards and rather incompletely. 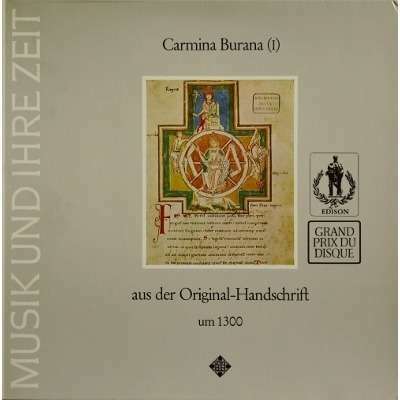 The transcription of the music contained in the manuscript Carmina Burana has long been thought to be an unsolvable problem, because the staffless neum notation does not represent exact pitch levels but only indicates the curve of the melody. This problem has been solved here with reasonable accuracy by cross-checking the neuma against versions of the same pieces contained in manuscripts in square notation, in which exact pitch levels are indicated. The concordant manuscripts are those of the Paris school of the 13th century. The cover picture is taken from folio 1r of the manuscript and contains the opening piece, Fas et nefas ambulant. The neums employed are typical St. Gall forms of the virga, punctus, podatus and franculus. Comparison of this notation with the same piece in the manuscript Florence Plut. 29. 1. fol. 225 reveals an unusual use of the virga for descending motion (also encountered elsewhere in Carmina Burana). 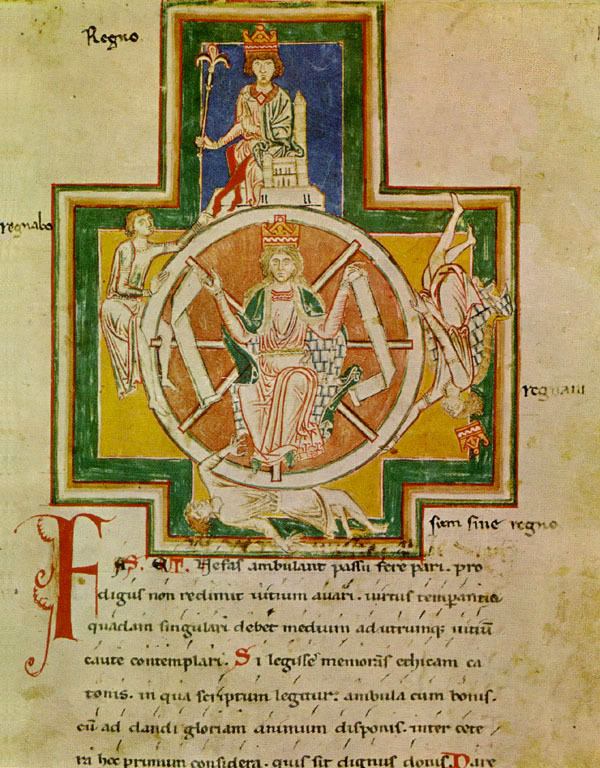 Other manuscripts provide polyphonic versions of many monophonic pieces in Carmina Burana, such as Exit in diluculo and its final stroph, Conspexit, as well as Fulgat dies which is the polyphonic equivalent of Tempus transit gelidum. 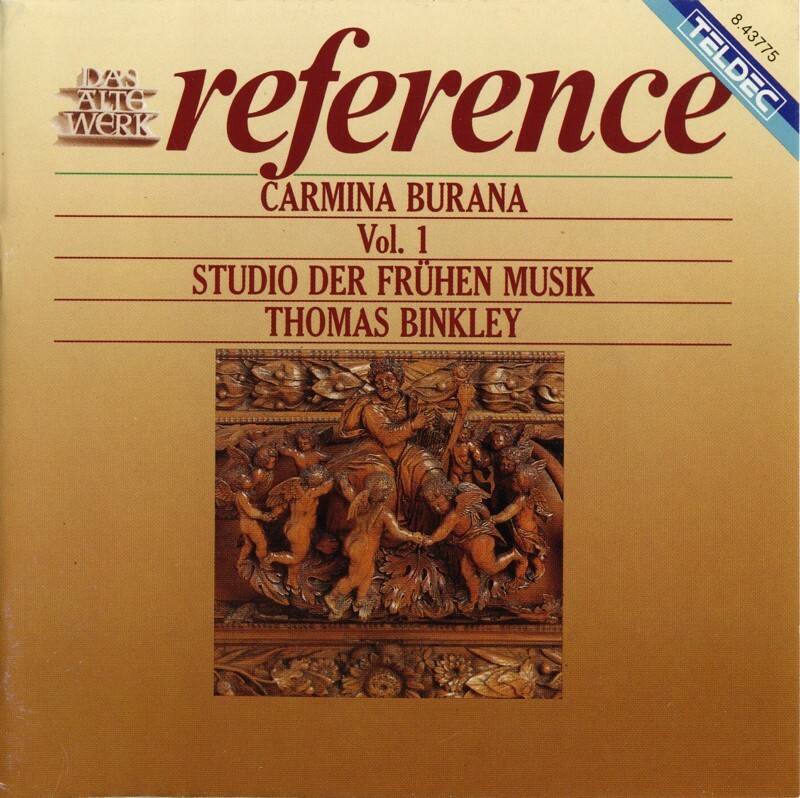 Musical settings are provided in other manuscripts for some poems without music in Carmina Burana, such as Procurans. 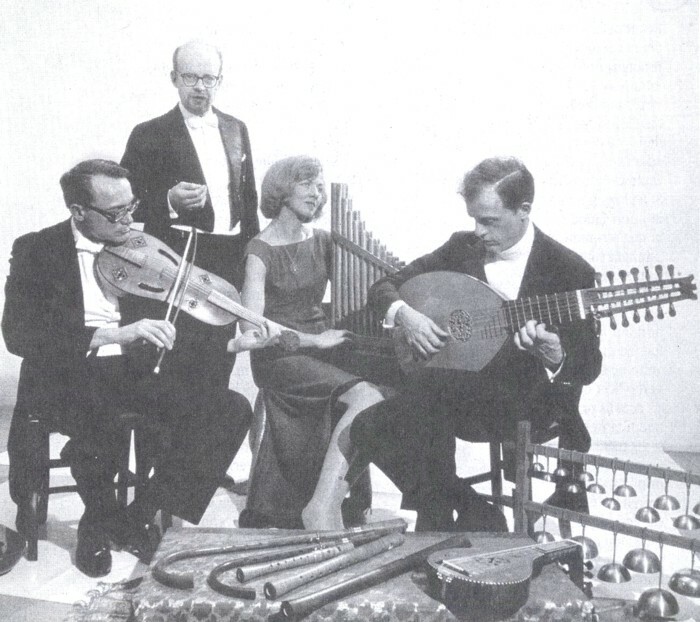 The accompaniments reveal the extensive influence exerted on medieval European musical performance by Arab culture. This influence came through early contact with Persian scholars, through the Crusades and through the Moors in Spain, and was particularly apparent in the adoption of exotic instruments. Many of these such as the lute and Rebec remained in use in the Occident for centuries, while others such as the long-necked lute (Balowa) and the hour-glass drum (Darabukka) passed out of use in the fourteenth century. The style of performance on these instruments is the result of serious study of their use today in the countries of their origin from Persia to Morocco. Thus, through reliable transcription and careful instrumentation it is possible to bring the performance of this music close to the elusive original, an accomplishment thought impossible just a decade ago.